2. You can find a cozy place to read. Watch snow fall outside a large window as you surrounded yourself with literature. 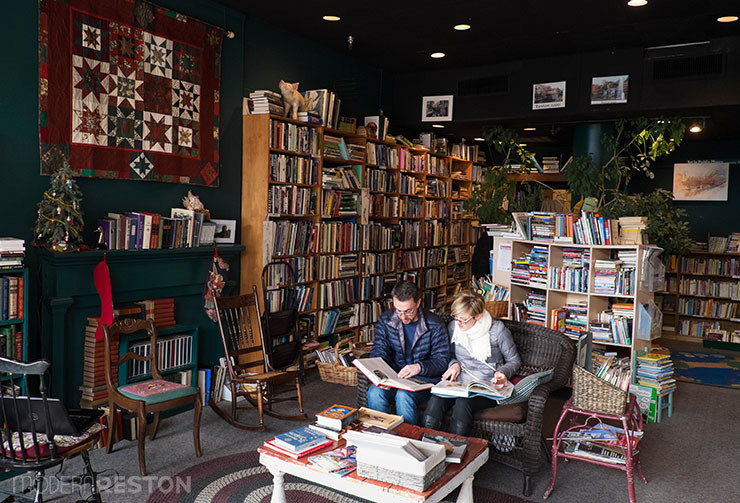 Reston’s Used Book Shop is set up like a living room, with a sofa, fireplace, and more books than you could finish during even the longest Snowmageddon. 3. 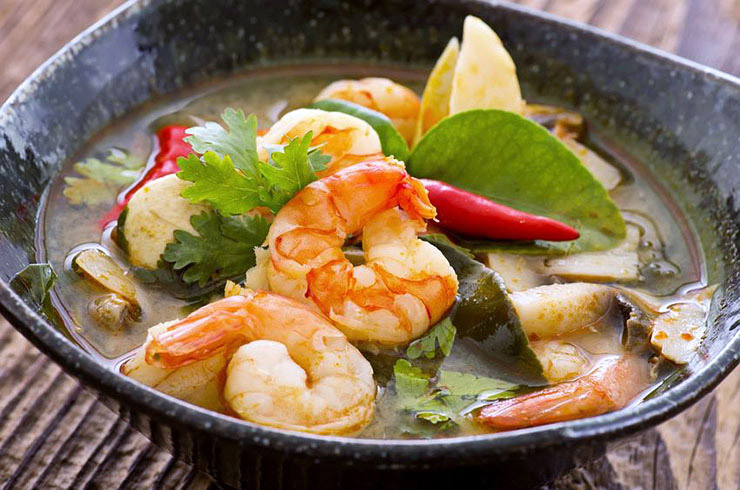 There’s great Thai food. Singh Thai is so good. Seriously, you’ve got to try it if you haven’t yet. The restaurant’s current location is a little tricky to find, but it will be moving into a more prominent spot in the former Jasmine Cafe location in the Plaza later this winter. Go try their drunken noodles. 4. There are places to see and create art. Lake Anne Plaza is the home of two art galleries: Jo Ann Rose Gallery, located inside the Reston Community Center, and Reston Art Gallery and Studios, located in the ground level of the Heron House apartment building. 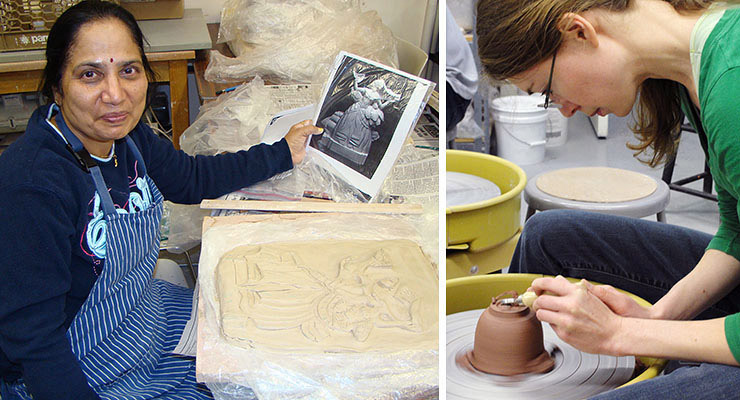 The Reston Community Center at Lake Anne also offers an open ceramics studio with drop-in hours for you to create sculpture and pottery. It’s a way to experiment with a new art form without long-term commitment. Then if you get hooked, you can visit during the ceramics open hours any time your creative mind is needing it. 5. It’s a place kids can run and climb on muddy days. On days when melting snow has made your neighborhood park muddy, bring the kids or grandkids to Lake Anne to run around. The Plaza is filled with structures designed for climbing, such as the children’s pyramid and the boat playground. 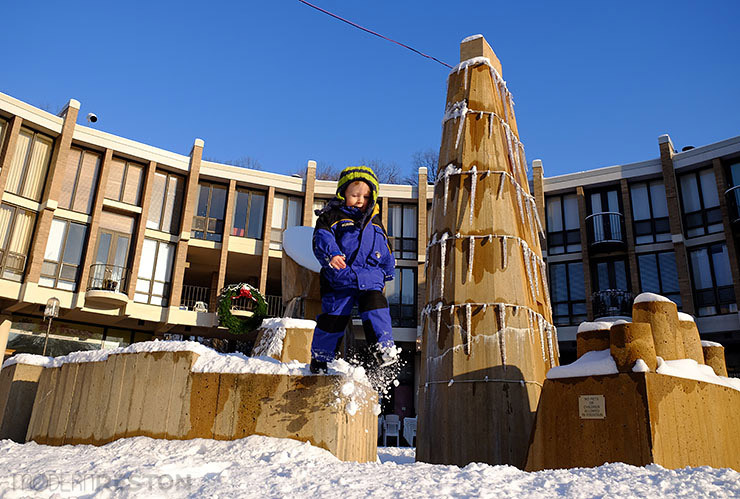 Kids also love to climb on the fountain in the middle of the Plaza — it’s a whole new adventure when the water is turned off for the winter. And since the whole Plaza is paved, it’s mud-free. 6. You can cuddle with kittens. At the entrance to Lake Anne Plaza is Just Cats Clinic, which has a fun playroom for adoptable cats. It’s fun to watch them through the window as they climb all over their intricate structure, but the best part is that visitors are invited to come inside and play with the cats. Lots of us could use a cat hug on a cold day. A brand new addition to Lake Anne is PetMAC Marketplace and Adoption Center, which opened just a few weeks ago. It is a pet supply store that hosts adoption events for dogs and cats. If you’re out walking your dog at Lake Anne, bring him inside PetMAC to pick out a new toy. It will ease his disappointment as you pick out a new cat. 7. There are classes to get you in shape. The Lake Anne location of the Reston Community Center is the home of most of the RCC’s fitness and wellness classes. Classes include strength and conditioning, slow flow hatha yoga, joint-friendly fitness, tumbling for kids, strength training for seniors, and plenty more. Classes are enrolling now and are reasonably priced, especially for Reston residents. You can register online. 8. Prices for kids’ clothes and supplies are extremely low during the winter. 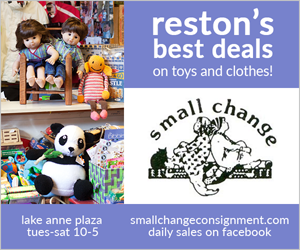 Lake Anne Plaza’s Small Change Consignments is a children’s shop that specializes in gently used clothing. Every winter they hold a sale where all clothes, shoes, boots, books, and baby gear are 50% off their already low prices. You can score some huge deals here in the winter months. 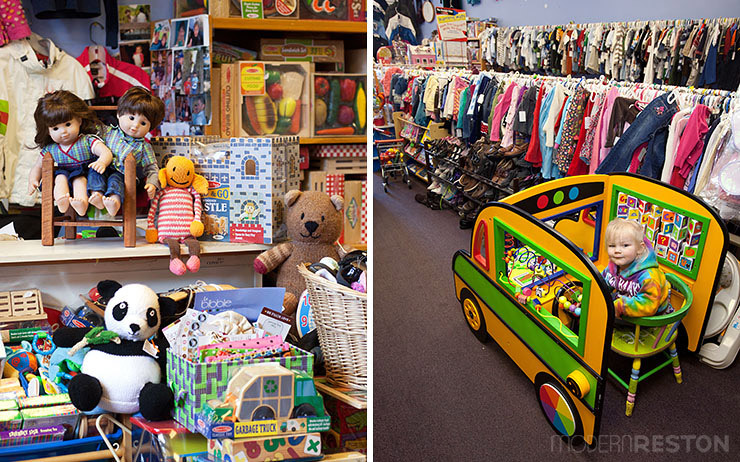 While you’re there, step next door and visit Baby Blossom, a boutique that sells high-quality baby supplies, clothing, and toys. They are especially knowledgable about strollers and can help you choose the best one for your needs. 9. You can support small businesses that help to make Reston unique. 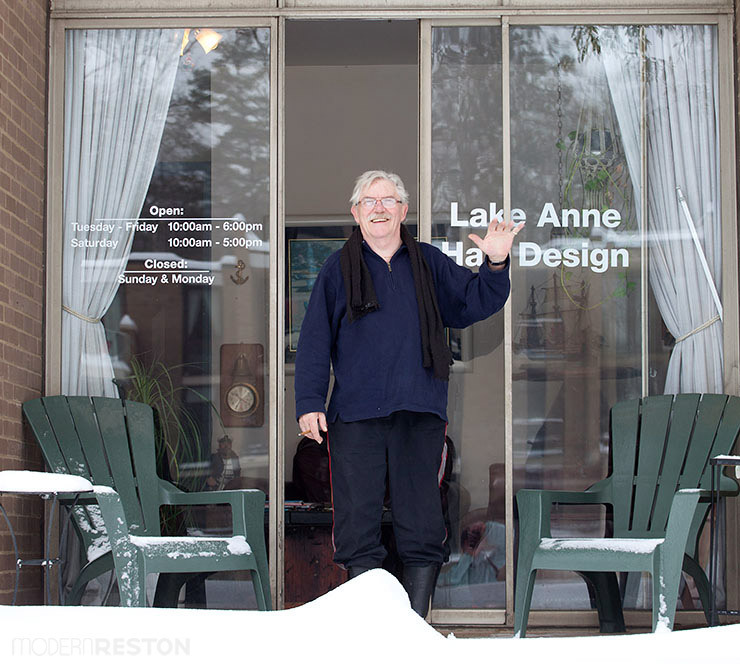 The winter can be a slow season for many Lake Anne businesses. If you appreciate Lake Anne Plaza and what it adds to the Reston community, go out and visit these businesses and help them thrive all year long. 10. Lake Anne is fascinating. 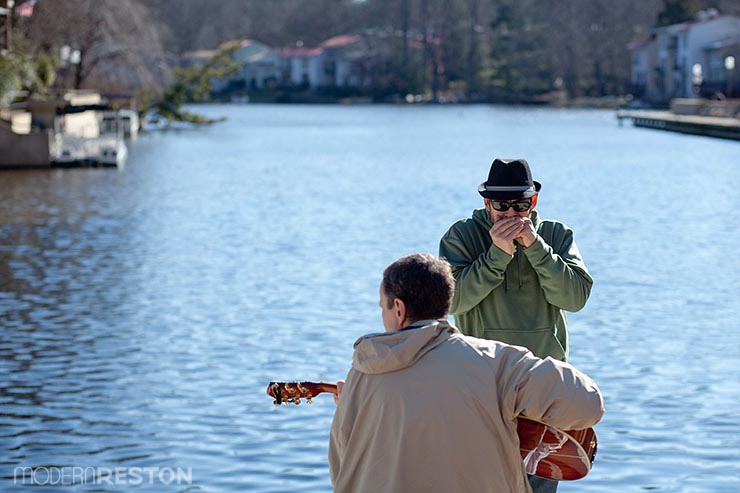 As a mixed-use commercial/residential lakeside community, Lake Anne offers an unusual combination of people-watching, wildlife, and water scenery. Just take a stroll and see what happens. There’s always something beautiful to see and interesting to discover. Singh Thai is soooo goood. My favorite Thai food in the area. Another cheer for Singh Thai, hooray! Well deserved.